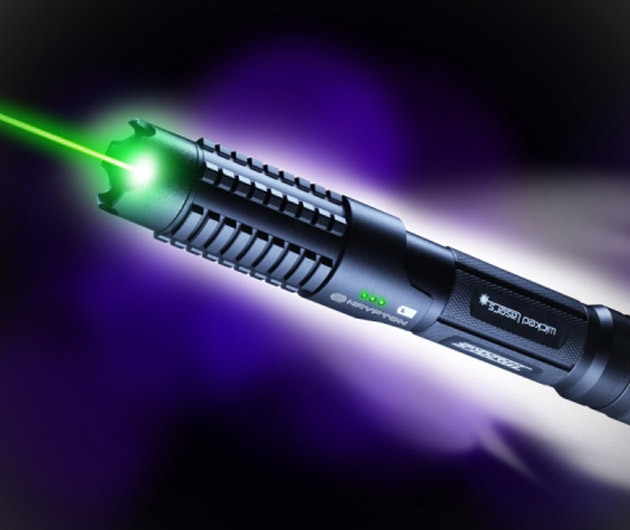 Seemingly a piece of alien technology, the S3 Krypton Laser ($300) is the most powerful handheld laser you can legally own on Earth. By powerful, I mean that it is the brightest you can get your hands. It's 8000 times brighter than directly looking at the sun, and is also your only viable way of getting near it - the laser has a tremendous range of 85 miles, breaking through the Earth's atmosphere that extends up to 62 miles. It's the only visible laser in space.